What Does a Wedding with The Music City Sound Look Like? 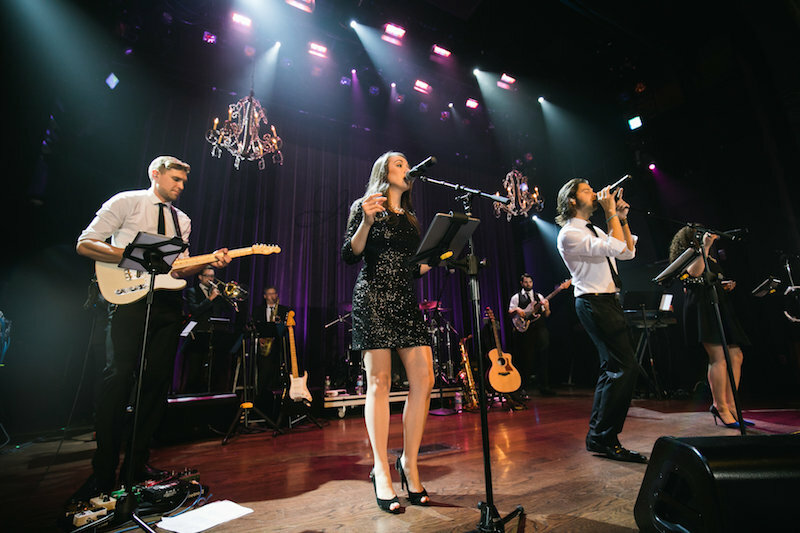 We get asked a lot about what it’s like to work with The Music City Sound on creating an extraordinary wedding reception - from selecting the best songs, to crafting the perfect playlist that keeps your guests dancing all night long! That’s why we have decided to create our brand new case study series: "Song and Dance". We want to help you see how - from start to finish - putting together an amazing night of entertainment for your wedding can be fun and stress-free! Which TMCS Entertainment Package did they choose? The Deluxe 10 Piece Entertainment Package. They requested that we provide music for the ceremony, cocktail hour, and reception. Ani’s father is an entertainment manager and booking agent here in Nashville Tennessee, and we had worked with him before within a large corporate event for VUMC (Vanderbilt University Medical) a few months prior to his daughter’s wedding. He found us through our website. He said that he loved our look, energy, talent, and professionalism. When he contacted you what did he tell you unique about his daughter’s wedding? Since our client had a lot of experience with customizing entertainment for big clients, he wanted to make sure that his daughter’s evening was one to remember. He created an entire theme, style, and feel for the evening. We covered styles from the crooner era (Sinatra-esque) during cocktail hour and then went into classic and current dance hits for our higher-energy dance sets. We planned out every detail together as far as timeline, genre for the set lists, and specific song requests; the entire evening was simply stunning. What kind of questions or concerns did he have? Timeline was a big concern of his. Obviously, weddings are packed full of to-do’s, but it was important that the entire evening flowed seamlessly and didn’t drag within any one specific detail. It was important for him to keep the energy moving, and we worked together down to the minute on how to best execute this. Luckily, we had also worked together before on a large corporate event, so it was easy for him to trust us with making this a flawless night for his daughter. Did Ani and John have any specific song requests? We incorporated several requests into the night, and we prepared a few special new songs for the bride and groom. We also agreed to learn a dance classic to perform with one of their guests! We will always do our best to incorporate as many requests as possible as long as we can maintain our standard of performing at the highest quality! Leading up to the event, how did we prepare? We had multiple conference calls, and email chains with our client, and made sure we were available to address any and all concerns, from power, production, stage designing, timeline, etc. I think when all was said and done, there must have been at least 20 emails back and forth as well as a half dozen phone calls. The big night... How did things get started? It was spectacular. We first performed some classic jazz standards lightly in the background while the guests arrived from the ceremony and enjoyed communing with each other for about 45 minutes. Next, Ani and John (bride and groom) arrived into the theatre which was an old elegant room with rows of seats in which everyone was already seated to watch a movie that was made about the lives of the two and their journey together. Immediately following, Ani and John came to the stage with us and read a wonderful poem to each other as we lightly accompanied them with music from their first dance song and then smoothly transitioned them into their first dance as bride and groom. We then followed up with the Father Daughter dance, mother son, and then invited everyone to join in as we opened up the dance floor...the rest of the evening was full of dancing and celebrating with this wonderful family and couple. Were there any challenges or unexpected changes? Despite the timeline being so well put together, there were a few last minute adjustments that needed to be pushed back, or inserted in during our sets. This was no problem as we've dealt with that many times before, and it is something we worked in without a hiccup. We are all on in ear monitors as a band which allows us more control of the volume of the group as well as gives us the ability to communicate with each other by making any announcements etc. within our ears without having to stop the show. Whenever Ani’s father or the planner had any announcements for me (I acted as M.C. as well that evening) to make, she simply communicated those directly into my ears from a microphone offstage, so there was no need to even stop or pause the dance set once everything had begun. How did the night come to a close? We invited everyone on the dance floor for our last song and then directed everyone outside for a sparkler send off for the new bride and groom. Ani was elated about how the night turned out, and all of the guests had such a wonderful time! We perform a wide array of events... everything from award shows and corporate functions to festivals and private parties. The list goes on and on, but there is something so very special to us about performing at weddings. This is one of the most important days in our client's life and we take pride and honor knowing that it is our job to help make it a dream come true for them. We have performed at hundreds of weddings, but it never gets old to us. It’s such a beautiful moment, and we are so very thankful to everyone who invites us to share these memories with them. Are you or a loved one planning a Wedding?